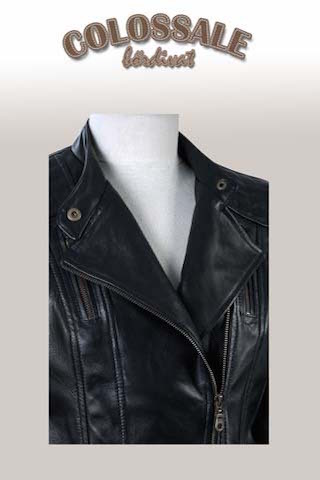 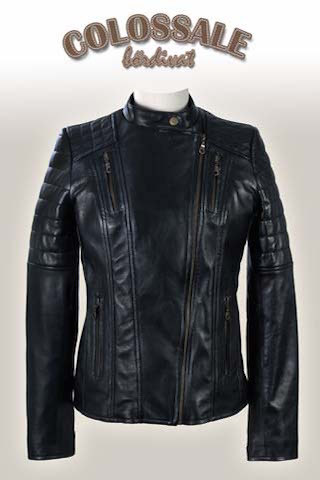 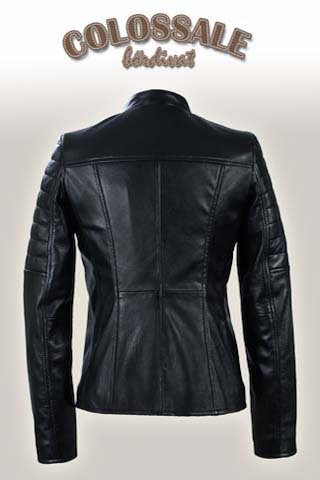 Trendy, slim ladies leather jacket based on the latest trend. 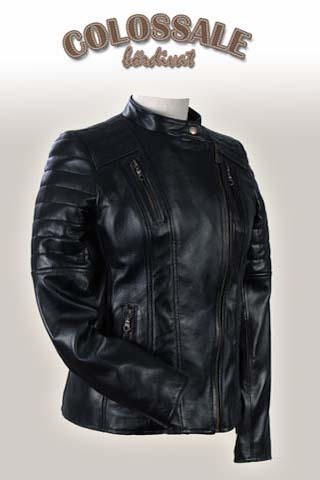 This model was decorated with stitches on the shoulders and the fingers, and we had lots of zippered pockets as well. 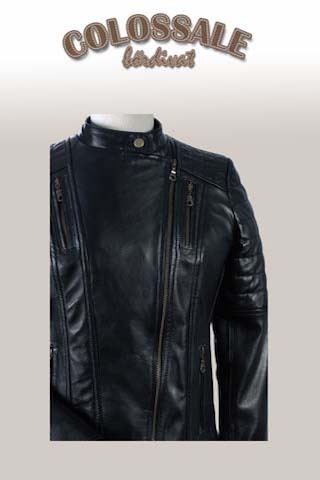 We recommend it for every age group and we can customize to your size, too.